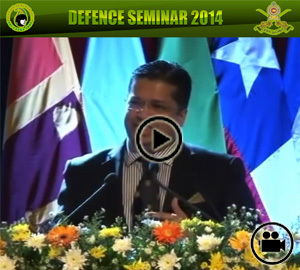 The Sri Lankan envoy was making the closing remarks of the three day Defence Seminar which started last Monday in Colombo. Nobel Laureate Amartya Sen was awarded the Nobel Prize in Economic Sciences in 1998 for his work in welfare economics and has made contributions to welfare economics, social choice theory, economic and social justice, economic theories of famines, and indices of the measure of well-being of citizens of developing countries. 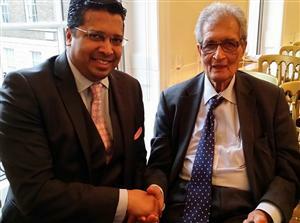 Dr Chris Nonis and Professor Amartya Sen also both sit on the International Advisory Council of Asia House, a leading centre for expertise on Asia in London. 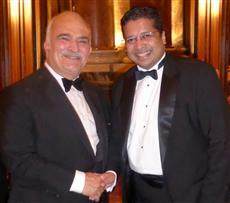 Sri Lankan High Commissioner to the UK, Dr Chris Nonis, met HRH Prince El Hassan of Jordan during his visit to London. In Jordan, HRH Prince El Hassan established the Royal Scientific Society, the Arab Thought Forum, the Higher Council for Science and Technology, and the Royal Institute for Inter-Faith Studies. He is also Chair of one of the UN Secretary General’s Advisory Boards, and President of the Foundation for Interreligious and Intercultural Research and Dialogue (FIIRD). A pluralist, believing in consensus and respect for the other, HRH Prince El Hassan bin Talal, articulated his ideals of societies in which all peoples can live, work and function in freedom and with dignity, and emphasized opportunities for global partnership towards these aims. 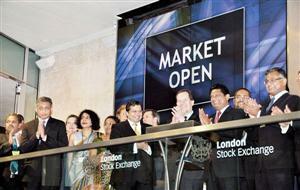 Sri Lanka on Friday livened up the London Stock Exchange (LSE) as the country was symbolically partnered for the market opening at 8 a.m. 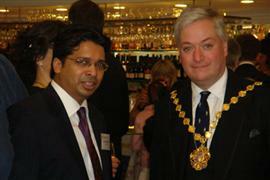 The move by the LSE was to mark the highly-successful Investor Forum in London, in which it was also involved. 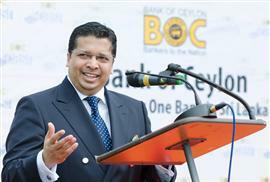 The panelists for this interactive event were, Governor of the Central Bank Ajith Nivard Cabraal, Dr. Chris Nonis, the Sri Lankan High Commissioner to the UK, Dr. Nalaka Godahewa who is the Chairman of the Securities and Exchange Commission and Krishan Balendra the Chairman of the Colombo Stock Exchange. 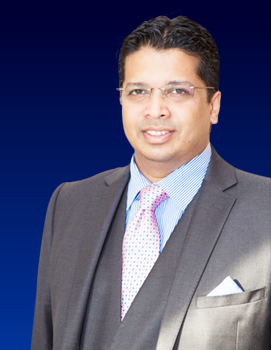 In order to showcase the opportunities available in the capitalmarket of Sri Lanka the Colombo Stock Exchange (CSE) and the Securities and Exchange Commission of Sri Lanka (SEC) held an Investor Forum at the Savoy Hotel London last Friday and a panel discussion too was followed. 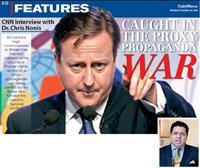 p style="margin: 0px; text-align: justify;">This was organized in association with the London Stock Exchange (LSE) and Bloomberg received an unprecedented response. 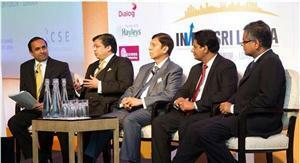 Over 150 fund managers attended the forum. 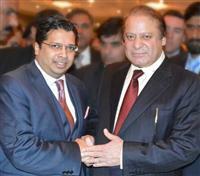 Sri Lankan High Commissioner to the UK, Dr Chris Nonis, met the Prime Minister of Pakistan, HE Nawaz Sharif, during his visit to London. Dr Nonis articulated the strong and longstanding friendship and cooperation that exists between the two countries, and the value of the comprehensive bilateral Free Trade Agreement. 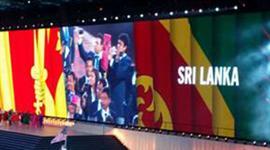 HE Prime Minister Nawaz Sharif reaffirming his strong bond of friendship, spoke about his meeting with HE President Mahinda Rajapaksa during his visit to Sri Lanka for the Commonwealth Heads of Government Meeting 2013, chaired by President Rajapaksa. 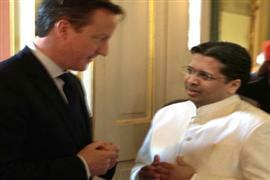 HON SPEAKER CHAMAL RAJAPAKSA MEETS PARLIAMENTARIANS IN THE UK. 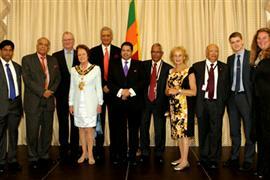 L to R: Rt Hon Lord Sheikh, Sri Lankan High Commissioner Dr Chris Nonis, Ian Paisley M.P., Hon Speaker Chamal Rajapaksa, Worshipful Mayor Frances Stainton, James Wharton MP, David Morris, MP. 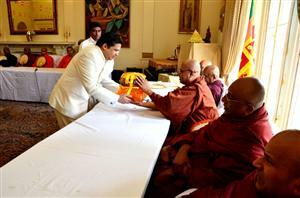 Dr Chris Nonis , Sri Lankan High Commissioner to the UK, hosted a gathering in London in honour of Hon Speaker Chamal Rajapaksa. The Hon Speaker, who is the immediate Past President of the Commonwealth Parliamentary Association(CPA), was in the UK to attend the meeting of the Executive Committee of the CPA. The Royal Household today confirmed that His Royal Highness the Prince of Wales, Heir to the Throne, will represent Her Majesty the Queen at the Commonwealth Heads of Government Meeting (CHOGM) in Sri Lanka this November. 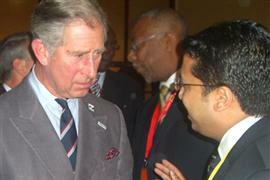 HRH Prince Charles has previously represented The Queen as Head of the Commonwealth in the past, including at the Commonwealth Games 2010. Her Majesty celebrated her 87th Birthday this April, and unfortunately had to cancel her attendance at the Commonwealth Day celebration in March this year at London’s Westminster Abbey after many years, due to Her Majesty being indisposed, and having been recently hospitalised. 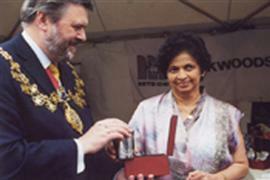 The Sri Lankan High Commissioner for the U.K., H.E. 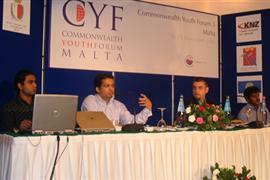 Dr. Chris Nonis has been appointed to the Commonwealth Advisory Panel of the Queens Diamond Jubilee Trust. The establishment of the Trust was announced at the Commonwealth Heads of Government Meeting in Perth, Australia in 2011, but was launched officially on 6th February 2012 – the 60th Anniversary of Her Majesty’s Accession. 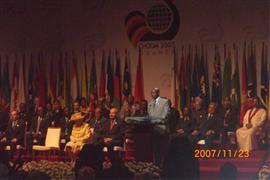 Former British Prime Minister the Rt Hon Sir John Major is Chairman of its Board of Trustees, which includes the Commonwealth Secretary General. 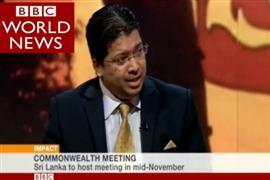 The Commonwealth Advisory Panel consists of five High Commissioners chosen from the 54 Commonwealth High Commissioners. 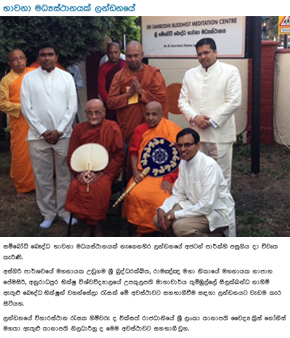 A British - Sri Lanka Parliamentary Group that has just completed a seven-day fact-finding visit to Sri Lank has found that the military presence in the North was substantially less than what has been often portrayed. 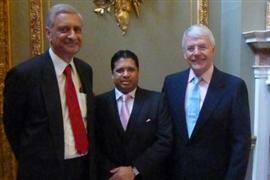 His Excellency the High Commissioner, Dr. Chris Nonis held a launch event at the Sri Lanka High Commission in London to promote the Commonwealth Business Forum to be held in Colombo from the 12 - 14 November 2013, leading up to the Commonwealth Heads of Government Meeting 2013. 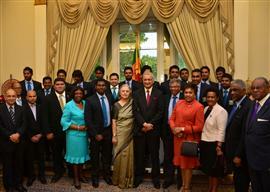 The team participating in the ICC Championship Trophy 2013 was felicitated at a reception at the Sri Lanka High Commission in London. 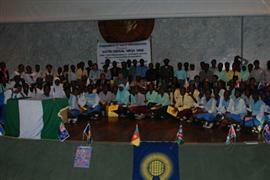 Captain of the team, Anjelo Mathews, and Manager of the team, Michael de Zoysa also addressed the gathering. High Commissioners of several Commonwealth countries, cricket enthusiasts, and Members of Parliament were present to felicitate the team in the true spirit of the Commonwealth.